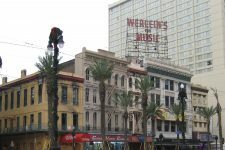 When Werlein’s music store moved here in 1905, it had already been in business in New Orleans for over half a century. 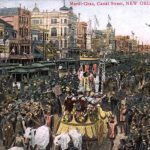 Today Werlein’s is remembered primarily for selling instruments, but it also sold and published sheet music—including “I Wish I was in Dixie’s Land,” commonly called “Dixie,” which became the anthem of the Confederacy (the store went out of commission when Union forces held the city during the Civil War, and reopened when they left). 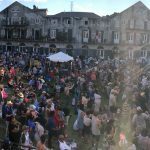 Werlein’s sold and repaired instruments for generations of New Orleans musicians. 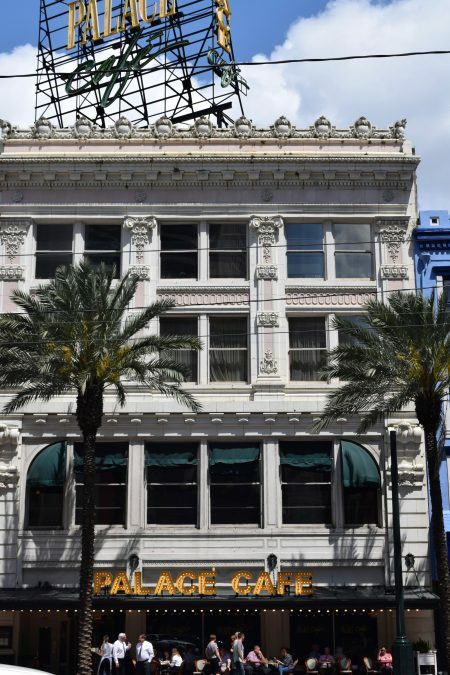 Kid Ory got his first trombone here in 1900, years before he moved to the city. The bandleader and influential music teacher Clyde Kerr, Sr. taught himself to arrange music by coming to Werlein’s to buy sheet music for popular songs one instrument at a time, as he could afford it. Fats Domino bought his Steinway pianos here. Children came to this building for music lessons, and the Werleins helped support local school band programs. 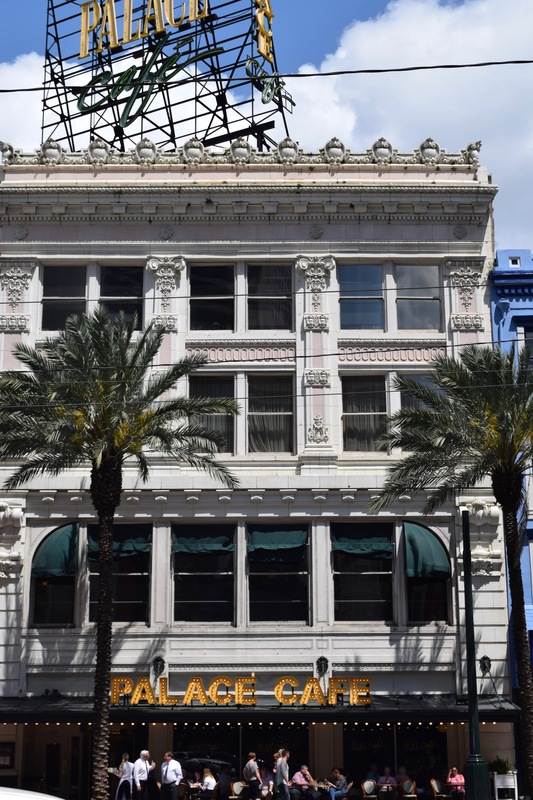 Before he became known as Dr. John, a teenaged Mac Rebennack took guitar lessons here, and arranged for Earl Stanley to buy one of the first electric basses in New Orleans. The store had an instrument repair department on the third floor, as well as a performance space for piano recitals. Werlein’s stores eventually spread across the South, and a huge sign on top of this building reading “Werlein’s for Music” was a Canal Street landmark for decades. 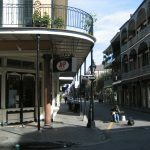 As the music business and retailing moved online in the 2000s the stores shut down. 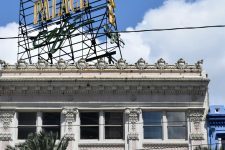 The Werlein's sign on Canal Street, which outlasted the store itself. 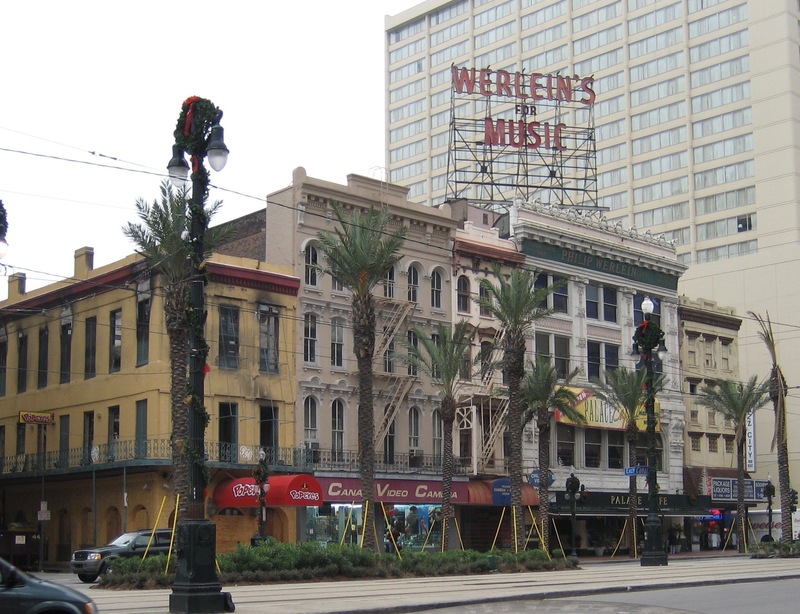 The site of Werlein's music store on Canal Street for nearly all of the 20th century. Piron & Williams Orchestra on the third floor of Werlein's in 1913. 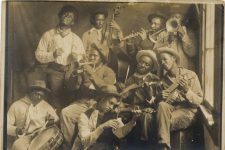 Shown from left to right are Clarence Williams; John Lindsay with bass; Jimmie Noone with clarinet; William "Bebe" Ridgley with trombone; Ernest Trepagnier with snare drum; Oscar Celestin with cornet; Armand J. Piron with violin; Tom Benton with banjo; and Johnny St. Cyr with banjo. 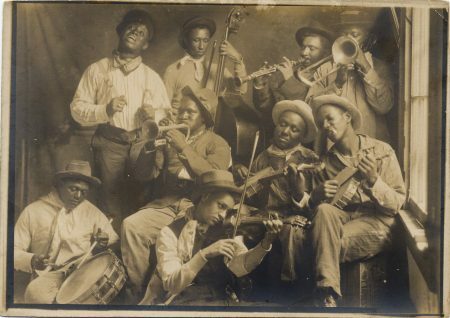 Courtesy of Louisiana State Museum Jazz Collection and of the William Ransom Hogan Jazz Archive at Tulane University.